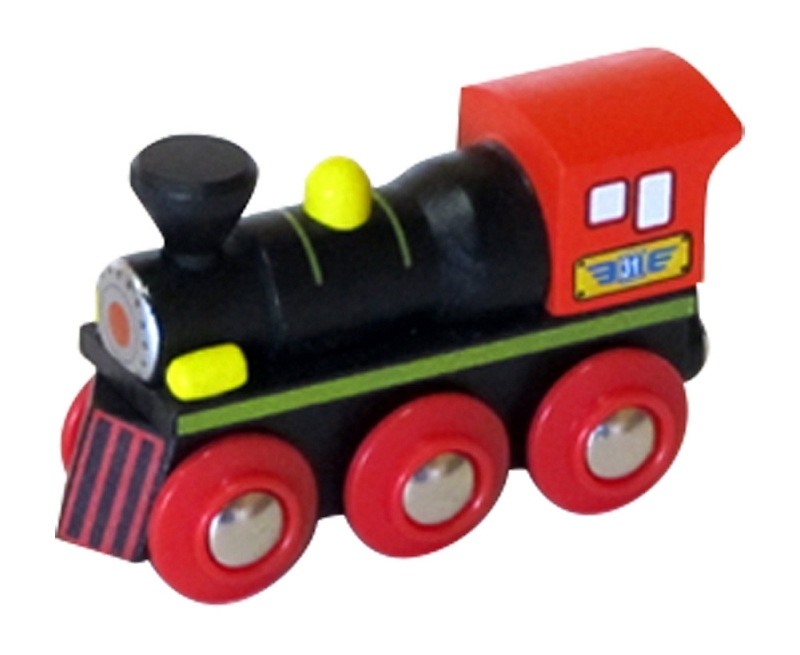 Black & Red Steam Engine wooden train can hook up to all your favorite freight cars. Approx. 3" long. Round magnetic couplers are compatible with Thomas Wooden Railway, Brio, and many other wooden train systems.